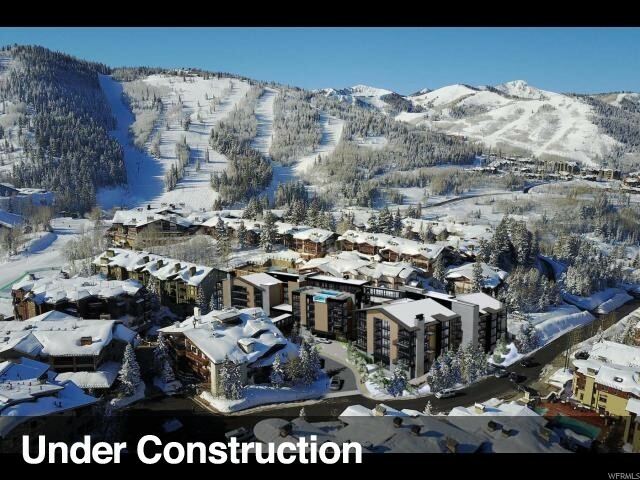 All GOLDENER HIRSCH homes currently listed for sale in Park City as of 04/25/2019 are shown below. You can change the search criteria at any time by pressing the 'Change Search' button below. "This exciting real estate opportunity located on the last remaining parcel in Silver Lake Village will be the first of its kind in over a decade. World-renowned architect Tom Kundig has designed a modern interpretation of a mountain ski lodge complemented with sophisticated interiors by Todd-Avery Lenahan. Located in the heart of Deer Valley Resort, Silver Lake's pedestrian village offers a ski beach & direct ski-in ski-out access, along with fine dining & shopping. Connecting 40 new Residences to the iconic Goldener Hirsch Inn is a Bridge Plaza that provides a wonderful outdoor gathering space. Additional amenities feature a front check-in lobby, library lounge valet parking, concierge, bellman, courtyard patio, fire pits, conference center, spa treatment rooms, ski-prep room, snow ski storage, acres-ski lounge, game room, konditorei, & a stunning rooftop deck with a pool and hot tub. This furnished three-bedroom boasts views to Bald Eagle and Bald Mountain. " "This exciting real estate opportunity located on the last remaining parcel in Silver Lake Village will be the first of its kind in over a decade. World-renowned architect Tom Kundig has designed a modern interpretation of a mountain ski lodge complemented with sophisticated interiors by Todd-Avery Lenahan. Located in the heart of Deer Valley Resort, Silver Lake's pedestrian village offers a ski beach & direct ski-in ski-out access, along with fine dining & shopping. Connecting 40 new Residences to the iconic Goldner Hirsch Inn is a Bridge Plaza that provides a wonderful outdoor gathering space. Additional amenities feature a front check-in lobby, library lounge, valet parking, concierge, bellman, courtyard patio, fire pits, conference center, spa treatment rooms, ski-prep room, snow ski storage, acres-ski lounge, game room, konditorei, & a stunning rooftop deck with a pool and hot tub." "This exciting real estate opportunity located on the last remaining parcel in Silver Lake Village will be the first of its kind in over a decade. World-renowned architect Tom Kundig has designed a modern interpretation of a mountain ski lodge complemented with sophisticated interiors by Todd-Avery Lenahan. Located in the heart of Deer Valley Resort, Silver Lake's pedestrian village offers a ski beach & direct ski-in ski-out access, along with fine dining & shopping. Connecting 40 new Residences to the iconic Goldener Hirsch Inn is a Bridge Plaza that provides a wonderful outdoor gathering space. Additional amenities feature a front check-in lobby, library lounge, valet parking, concierge, bellman, courtyard patio, fire pits, conference center, spa treatment rooms, ski-prep room, snow ski storage, apres-ski lounge, game room, konditorei, & a stunning rooftop deck with a pool and hot tub. This furnished two-bedroom unit is located on the same level as the amenities & bridge plaza." "This exciting real estate opportunity located on the last remaining parcel in Silver Lake Village will be the first of its kind in over a decade. World-renowned architect Tom Kundig has designed a modern interpretation of a mountain ski lodge complemented with sophisticated interiors by Todd-Avery Lenahan. Located in the heart of Deer Valley Resort, Silver Lake's pedestrian village offers a ski beach & direct ski-in ski-out access, along with fine dining & shopping. Connecting 40 new Residences to the iconic Goldener Hirsch Inn is a Bridge Plaza that provides a wonderful outdoor gathering space. Additional amenities feature a front check-in lobby, library lounge valet parking, concierge, bellman, courtyard patio, fire pits, conference center, spa treatment rooms, ski-prep room, snow ski storage, acres-ski lounge, game room, konditorei, & a stunning rooftop deck with a pool and hot tub. " "This exciting real estate opportunity located on the last remaining parcel in Silver Lake Village will be the first of its kind in over a decade. World-renowned architect Tom Kundig has designed a modern interpretation of a mountain ski lodge complemented with sophisticated interiors by Todd-Avery Lenahan. Located in the heart of Deer Valley Resort, Silver Lake's pedestrian village offers a ski beach & direct ski-in ski-out access, along with fine dining & shopping. Connecting 40 new Residences to the iconic Goldener Hirsch Inn is a Bridge Plaza that provides a wonderful outdoor gathering space. Additional amenities feature a front check-in lobby, library lounge, valet parking, concierge, bellman, courtyard patio, fire pits, conference center, spa treatment rooms, ski-prep room, snow ski storage, apres-ski lounge, game room, konditorei, & a stunning rooftop deck with a pool and hot tub. This furnished studio is conveniently located on the same level as the amenities & bridge plaza."